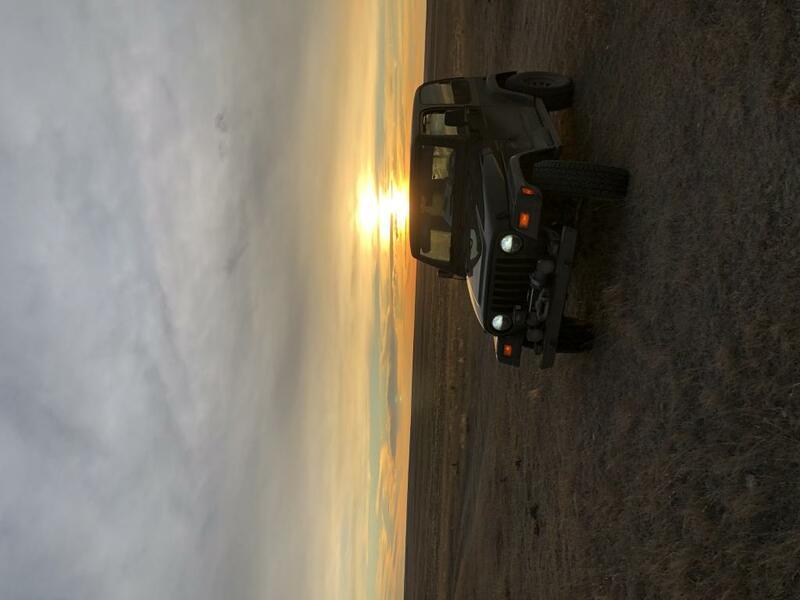 This is Andy/ Jeeper99xj. I was on here years ago. 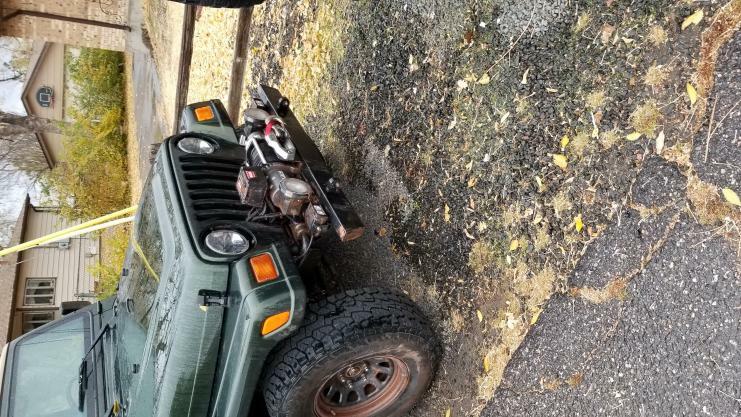 At the time I had a '97 TJ that was hacked up by my then high school self with no fenders and other modifications mainly done with a Sawzall in my parents driveway. 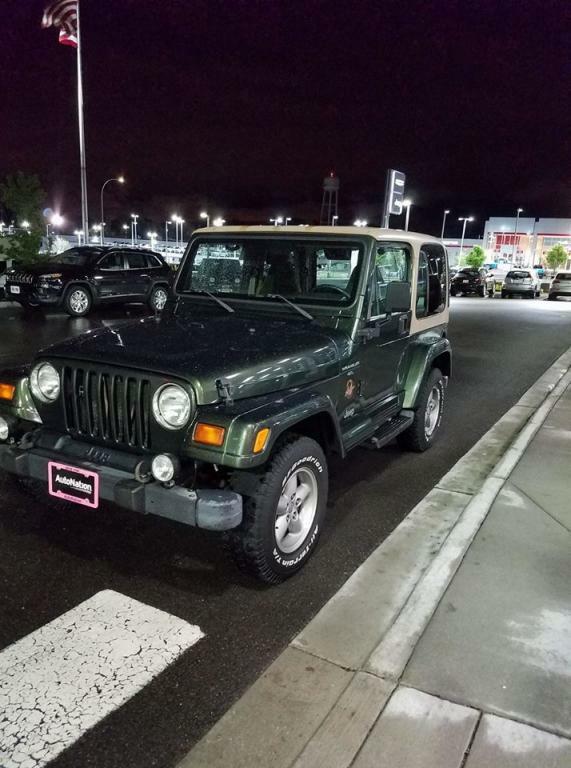 Fast forward 16 + years and I now have a real job, moved to Colorado, decent tools, and a 1998 TJ. I Bought it about 2 years ago, put 40k on it driving it to and from work, got sick of driving it 100 miles a day and bought car to drive to work. We had been wheeling the girl friends 2016 JKU Rubicon on 35's but she ended up selling it in January. 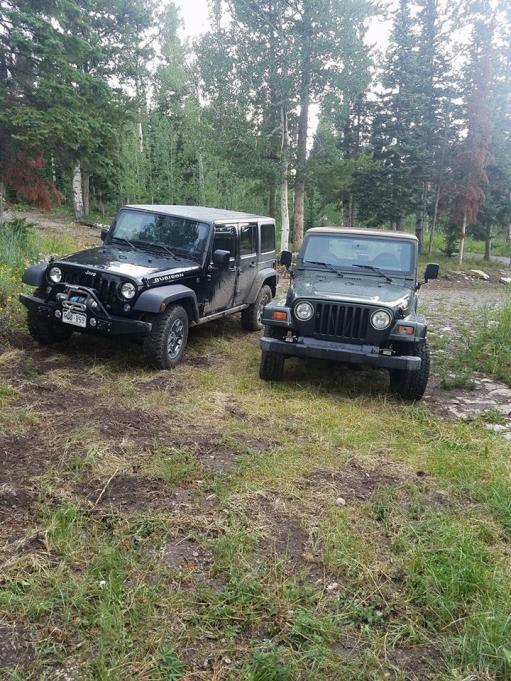 The TJ was stock when I bought it and ended up with 31's and a 1" body lift right after I bought it. 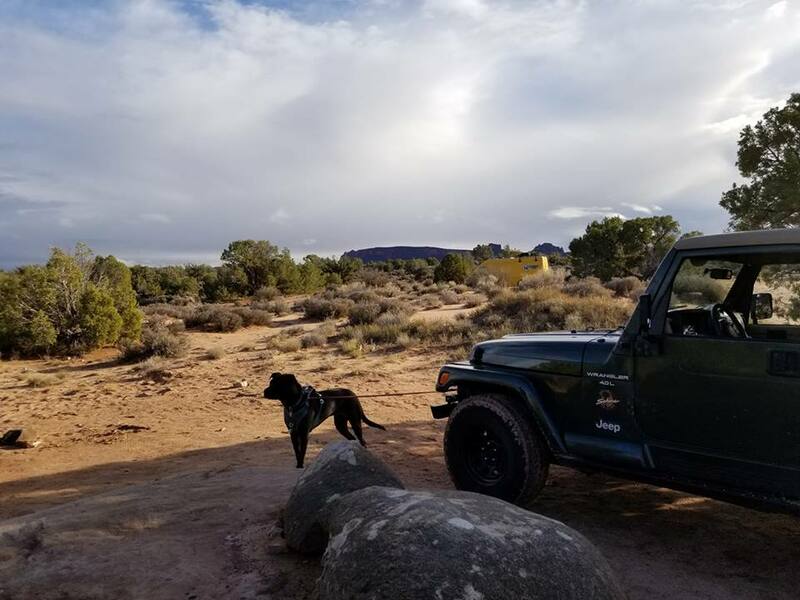 We had a trip planned to Moab last October and were going to take the JK when it got hit for a 3rd time and wasn't up to the trip. 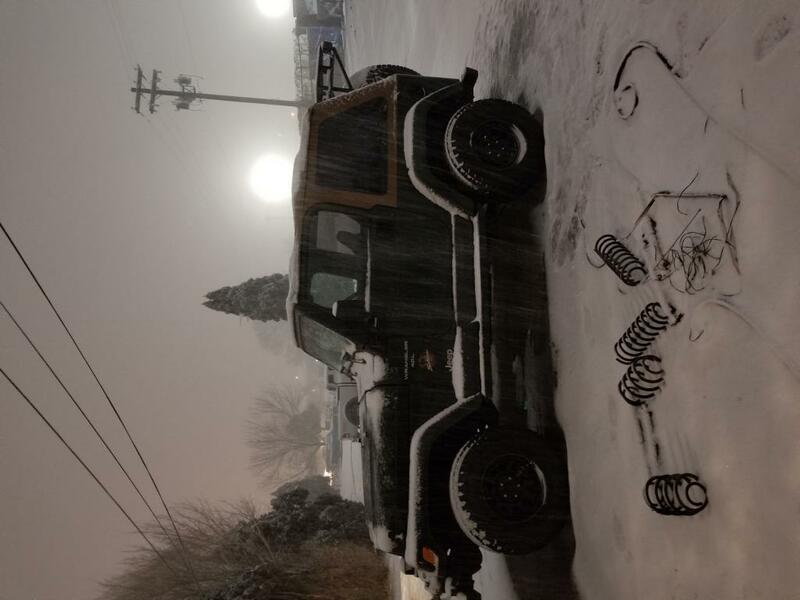 I built some bumpers, rock sliders and threw a winch on the TJ. 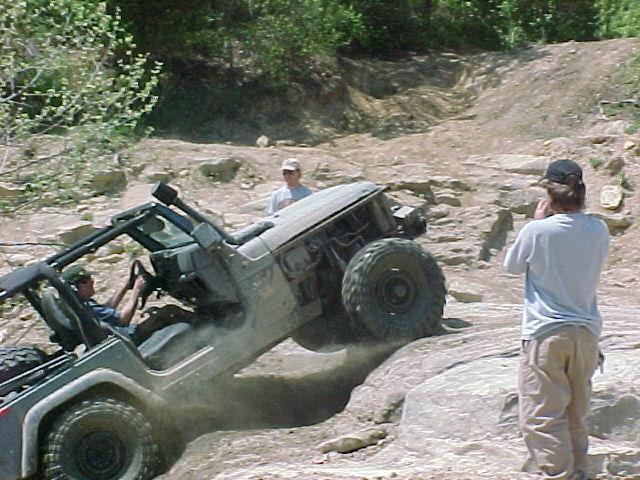 It did well in Moab but is nowhere near the wheeler the JK was. 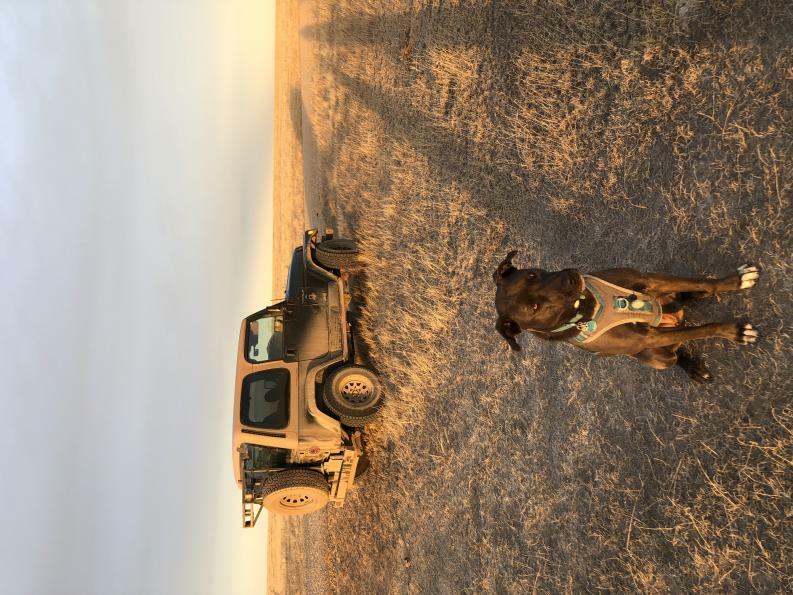 We really enjoyed having the capability of her jeep on the trails and do a lot of random week day wheeling so it was nice to know the jeep could handle most things we got into without an issue. -Painless fuse box with some lights and other electrical "upgrades"
Goal: Low lift, simple, low gears, capable enough but not too capable, keep somewhat of a budget, nowhere near as hacked as my last TJ. Last edited by barrlroll1; 02-22-2019 at 07:00 PM. That story reminds me of some pictures in my collection. It's great to hear you're still doing well. I wish I could find your motivation. I planned on a vortec inline six swap in the scrambler this winter but haven't even got close to starting on it. Said I would start on it just as soon as I got the 66 mustang done. I have had the motor and trans sitting in the shop at home since last summer but made progress last weekend. Keep posting as you go and I will keep reading and find that motivation again. Can't believe its been that many years. I think this forum was a good motivator back in the day. I'll get some more pictures up this weekend. It helps to have a deadline. 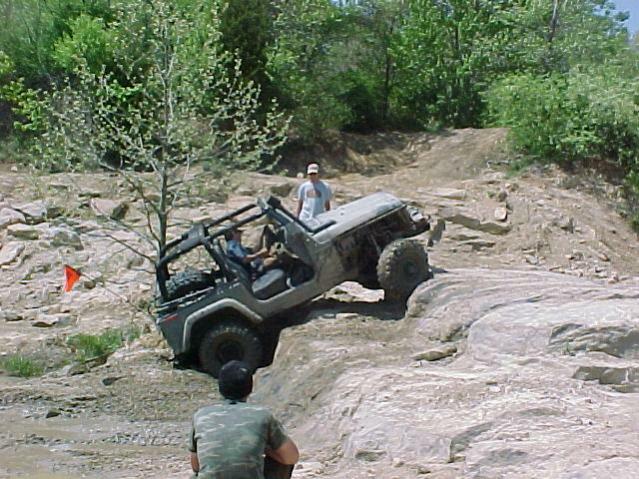 I think I have 38 days till I'm planning on a test run to shake the bugs out before Moab. Only having 1-2 hours a night to work on it makes for slow progress. I'm working 56-60 hours a week, class 4 hours 1 night a week, 6 hours of class every Saturday, and trying to keep the woman happy is a balancing act. I found some more pictures of the bumpers/ sliders. We got the top on last weekend in the middle of a blizzard. I sold a bug last Sunday giving me room in my garage instead of my usual drive way work shop. 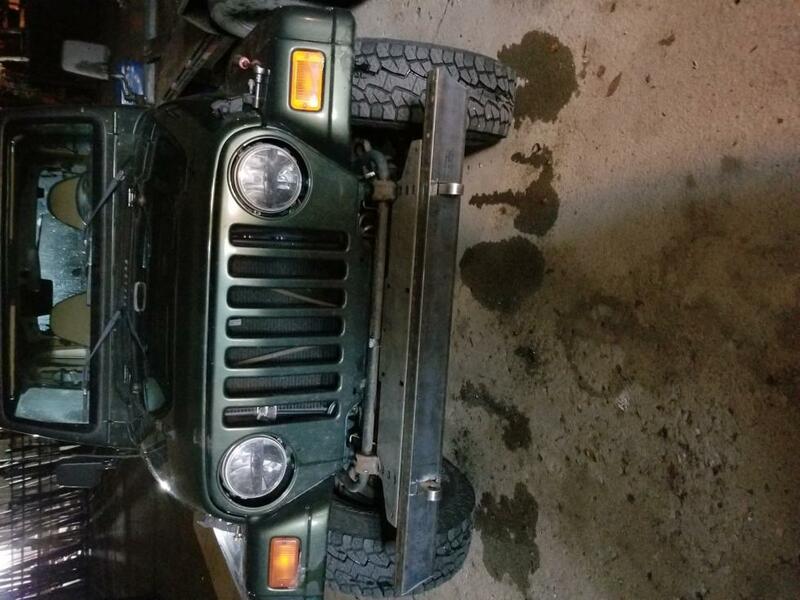 I got the garage empty and the heep inside. So far the new t-case is "mocked up" in the jeep and I'm starting the process of building a flat belly pan. Parts are starting to come in. I'm thinking the flat belly project is going to be the most time consuming. I had to order a cable shifter for the t-case because the advance adapter shifter bracket I had was hitting the tub big time. The muffler and cat are currently sitting on the ground and I'll need a smaller muffler and some exhaust rerouting to make everything clear. My hydro assist ram got here yesterday, mounting that is going to be fun, it might involve moving the track bar to find room for it. Keeping the jeep low and making everything fit is going to take some creativity. Here's some pictures from the bumper and slider build. I used some bumper builder kits from A to Z fabrication, the front is a piece of plate bent and all the holes cut to line up with the factory frame so you basically just weld your rectangle tubing to it. The rear was some 1/2" drilled and tapped 1/2" plate and some tabs. It saved me hours of drilling and tapping and everything fit. I think the tire carrier pivot came from ruff stuff specialties and the latch was from Grainger. Originally I bought a ruff stuff latch and realized it didn't work with my design so I ordered the only latch that would work Grainger had in stock (I was supposed to be on the road to Moab when I realized the latch wouldn't stay latched). It made it 2 days in Moab till I saw my tire carrier in the sideview mirror swung open on Chicken corners. Hence the ratchet strap in one of the pictures. I upgraded to a larger latch and it's worked great since. 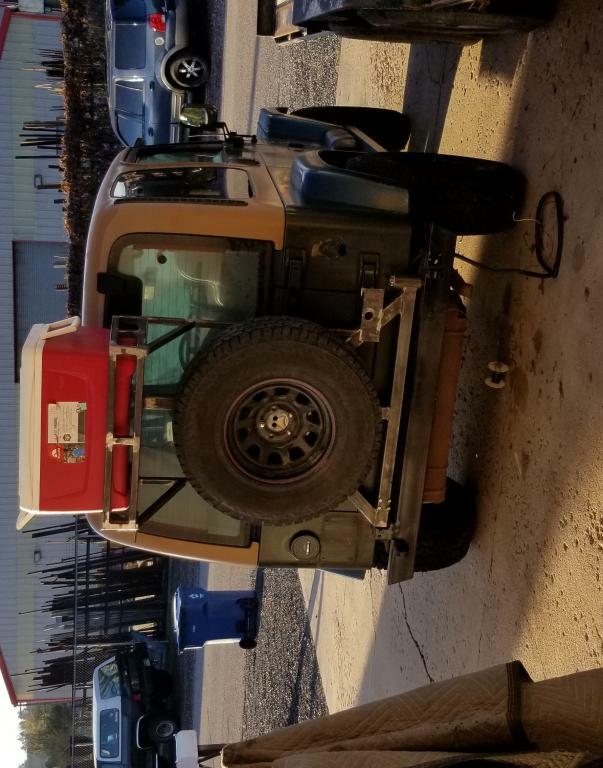 The cooler rack is nice but I haven't really used it and my first version was too wide and you couldn't open the hard top window. Having the 2 2"x2" LED lights mounted up there is great. I have the lights wired to a switch on the dash, not to the reverse light switch, and put a "mil spec" guard on the switch so they don't get bumped on. They are wired on an always hot circuit of the painless 7 circuit fuse box. They work awesome when you are backing up and there aren't street lights around but not being wired to the reverse lights you aren't blinding soccer moms at target. Having them always hot is nice for setting up camp in the dark. The sliders mount in the factory side step holes and then also up front so there's 3 1"x1"x11 gauge pieces of square tubing welded and gusseted to some 1/4" plate bolted to the frame. They tie in in 3 spots and when I built them I built them to accommodate for the 1" body lift. I wanted something that didn't hang down too much and protected the body but also doubled as a step. After putting the PRP seats in if I didn't have them getting in and out wouldn't be easy. Both the bumpers and sliders are 2"x4"x11 gauge (1/8") rectangle tubing. Last edited by barrlroll1; 03-01-2019 at 03:50 AM. Any ideas on the sideways pictures? They look the right direction on my phone and on the computer. 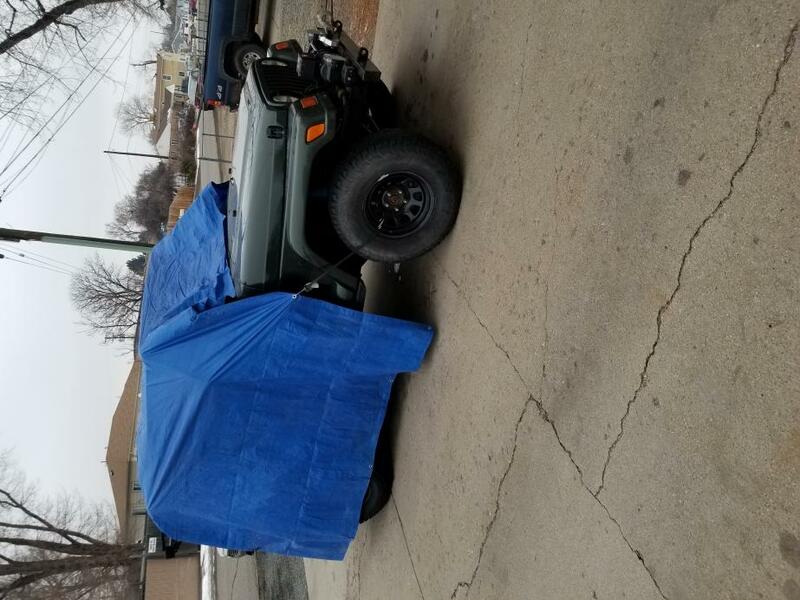 The jeep rocked the blue tarp for a couple days while I waited on my soft top to get here. When we started putting the soft top on it was 50 or so degrees. By the time we were done it was 30 some degrees and there was 2" of snow on the ground. We ended up letting the jeep warm up to try and heat up the canvas a little. When bestop says it should be 70 degrees to put on the top I'd listen to them. 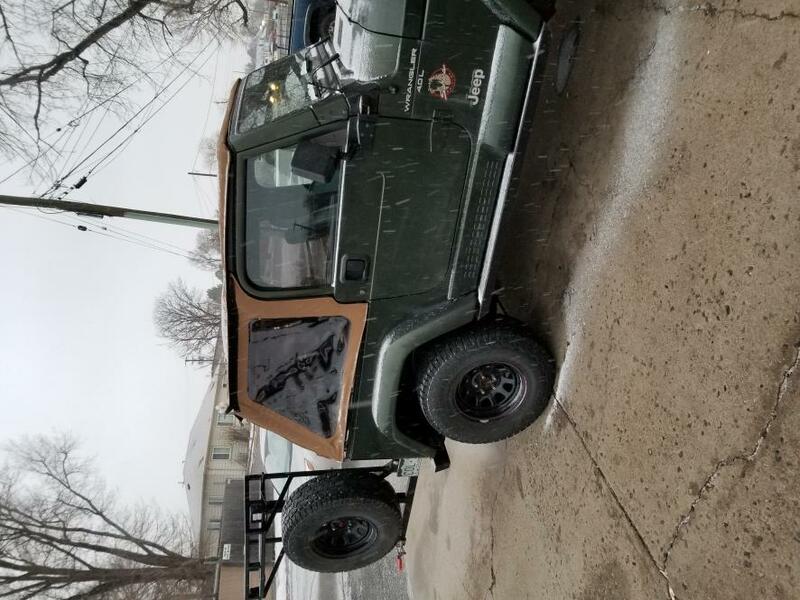 I think the soft top will suit our needs much better now that I'm not driving the jeep 100 miles a day to and from the mountains. 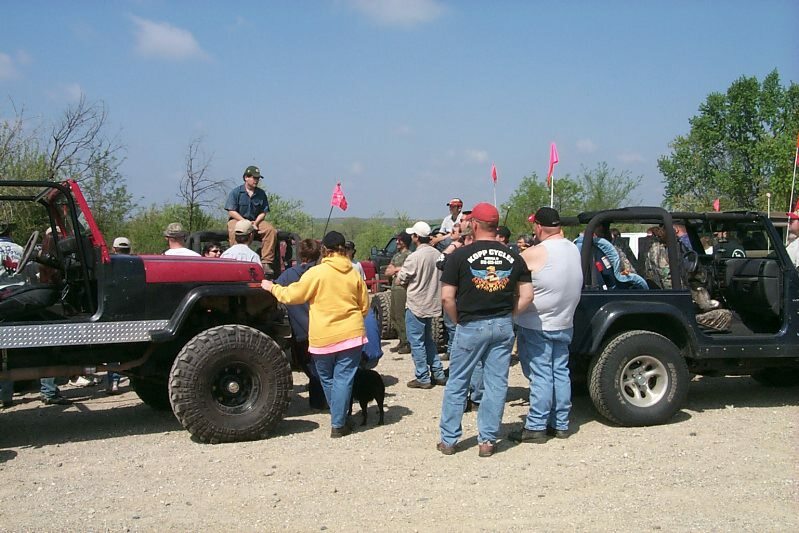 I hated wheeling the JK with a hard top, it was heavy and not easy to remove to prevent it from damage on the trail. I went with a frameless top to hopefully make it a little easier, it was cheaper, and I like the look. Neat stuff, Andy! Good to see everyone on the board. We used to have a lot of fun here, but as you can see there hasn't been much traffic for a few years now. I haven't been able to figure out the posting pics from my phone yet. You are getting it done though. 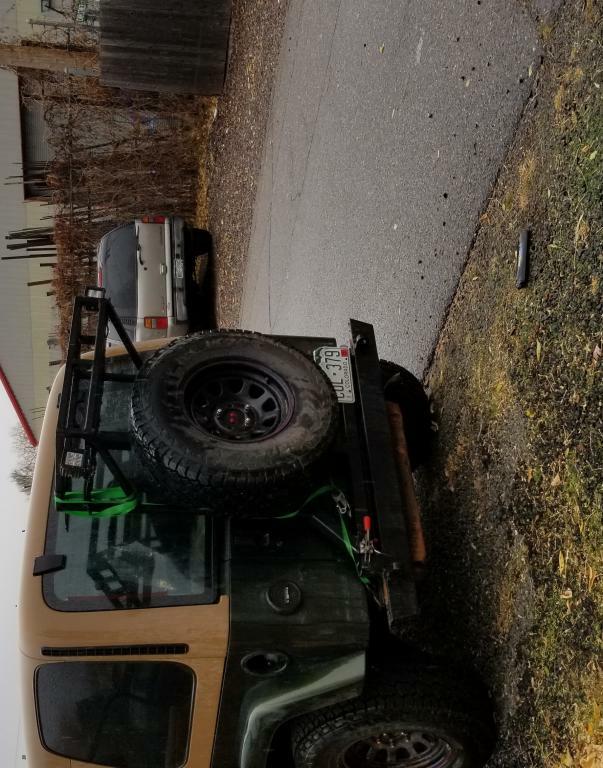 Wife came down to the shop yesterday and told me she ordered her rear bumper for the jk which is fine because I don't have time to make one right now. Then I catch her on the computer and asked what she was doing? We get reward points for selling falken tires... She says, you had enough points I just ordered five falken 35x12.50's.. Ok, nittos are still 75% tread.. She said sale them I'm bored with them. 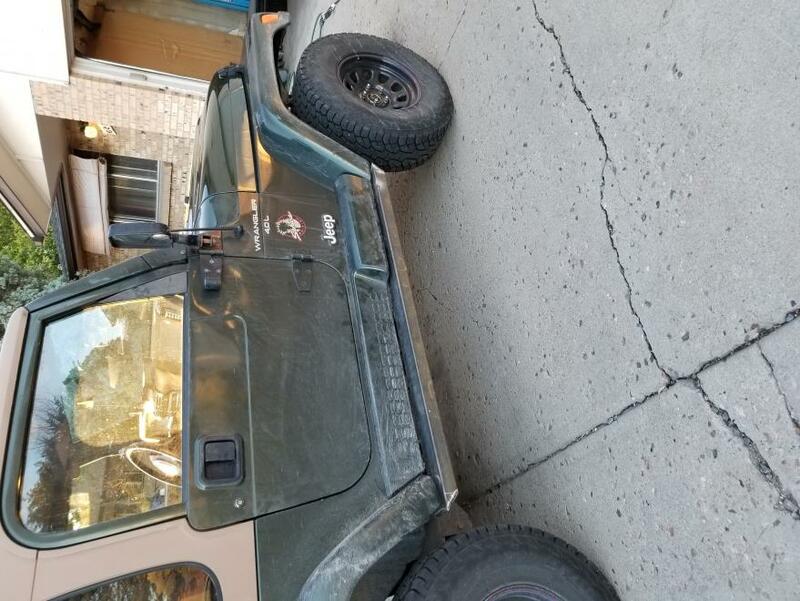 She says she layed the soft top out yesterday as well, hard top has only been off once in two years so I guess soft top is going on. Keep it up, I'm starting to feel inspired.